Sandvik utilizes powder metallurgically based hot isostatic pressing (PM HIP) technology for its near-net shape products. The production process from the melt to the finished product takes place in three stages. Powder is produced by inert gas atomization. The powder is canned in sheet metal capsules, giving the product the desired shape. The capsules are then consolidated into full density under high pressure and temperature by hot isostatic pressing (HIP). The melt produced in an induction furnace is tapped into an induction-heated ladle where further alloying elements can be added in a protective atmosphere. The ladle also permits stirring and temperature control of the melt throughout the process. When the melt is tapped from the bottom of the ladle it is discharged directly into the atomization chamber. The molten steel is broken up by jets of inert gas and the atomized melt solidifies into small spherical particles of high purity and low oxygen content and with a diameter less than 500 micron. The powder is stored under inert gas hermetically-sealed vessels. The powder is canned in capsules of mild steel, which are produced by sheet metal forming and welding. The capsule is designed to give the fully dense end product the desired shape. Compound products can be produced by designing capsules with separate compartments for different powders or enclosing parts of solid material together with the powder. The capsules are placed in a hot isostatic press where they are subjected to high pressure and temperatures. The hot isostatic pressing parameters of pressure, temperature and time are predetermined to give the material full density. Depending on the type of material and the application, the PM HIP products will be heat treated, machined and subjected to various types of quality control, such as ultrasonic inspection, dye penetrant testing, testing of mechanical properties. The mild steel sheet used in the can remains on the product after the hot isostatic pressing and heat treatment and is removed by machining or by acid pickling. The maximum dimensions after hot isostatic pressing are a diameter of 1500 mm (59 in.) and a height of 2700 mm (106.3 in). The maximum weight for HIP products is approximately 15 tonnes. However, it is possible to produce larger components in several parts. Sandvik HIP products are produced according to, for example, NACE and NORSOK standards. 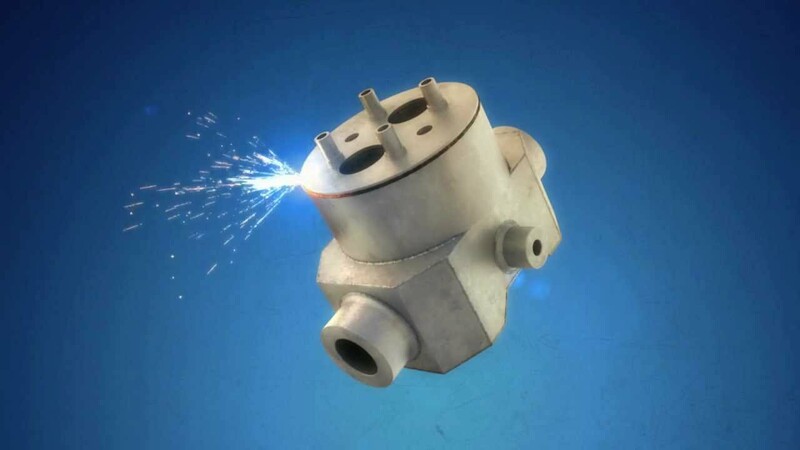 The unique properties of Sandvik HIP products makes them specially suitable for offshore applications. The ability to manufacture tailor-made HIP products with irregular shapes and complex geometry offers several advantages over castings, forgings and fabricated materials.